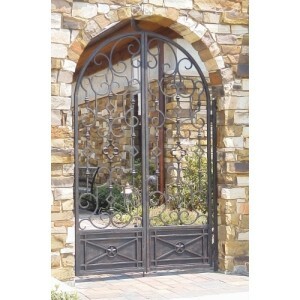 This exterior gate was designed to make a grand welcome statement! The solid panels at the bottom give credence to the Lone Star State with the raised five point star beautifully framed and centered on both sides of each panel. 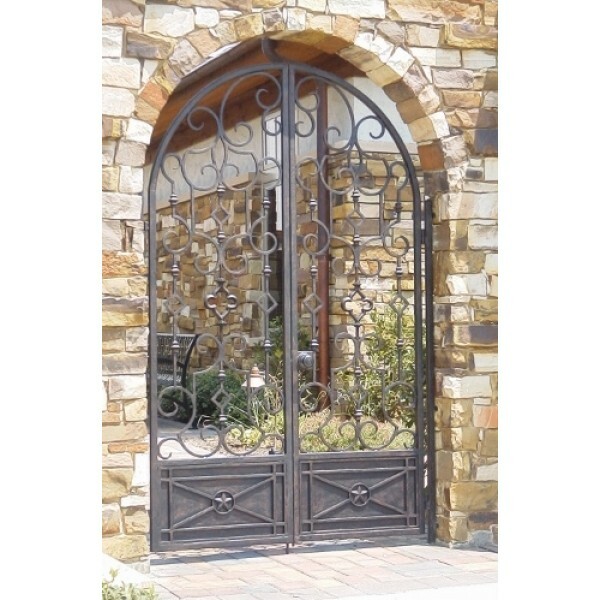 The top of the gate was designed to please, with multiple scrolls woven throughout the key shapes and full dimensional round shaped collars.